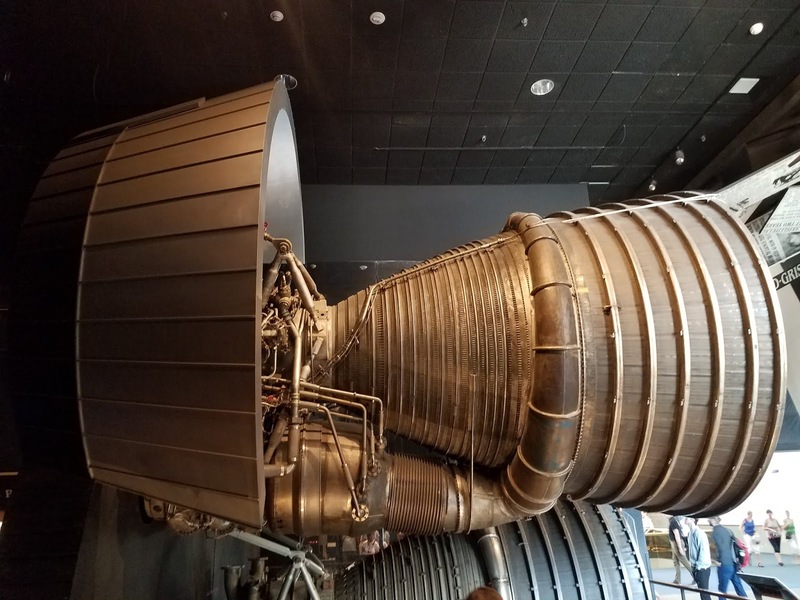 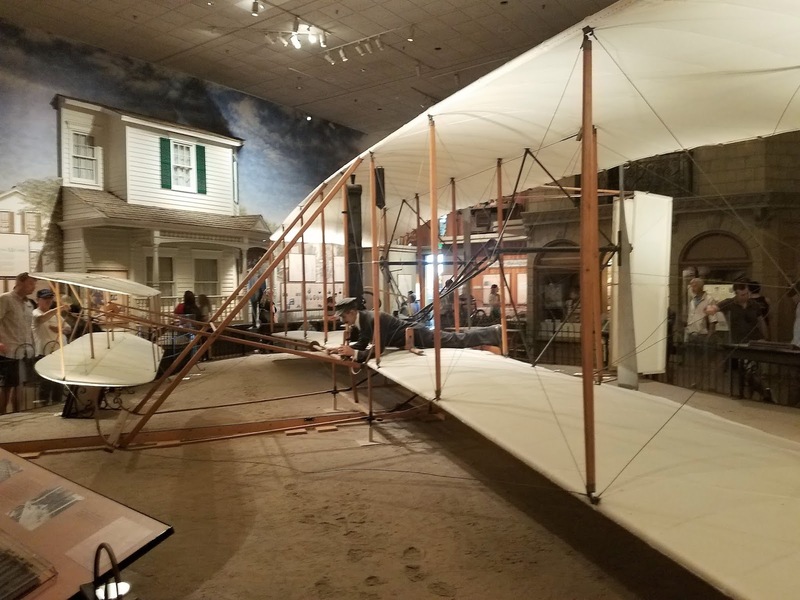 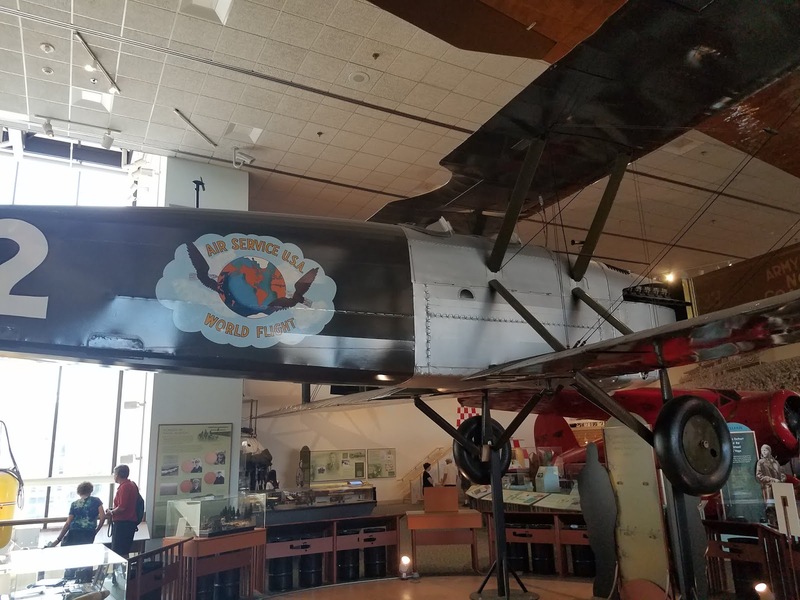 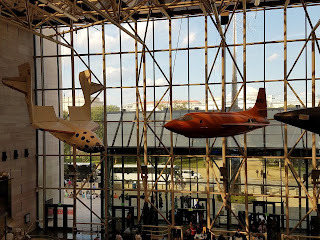 Our latest visit to the air and space museum did not disappointment. 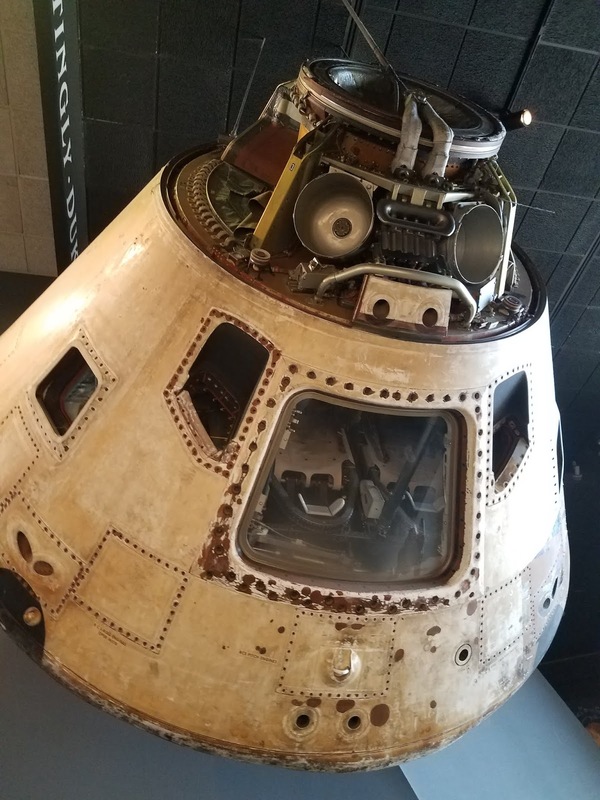 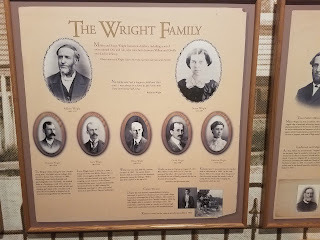 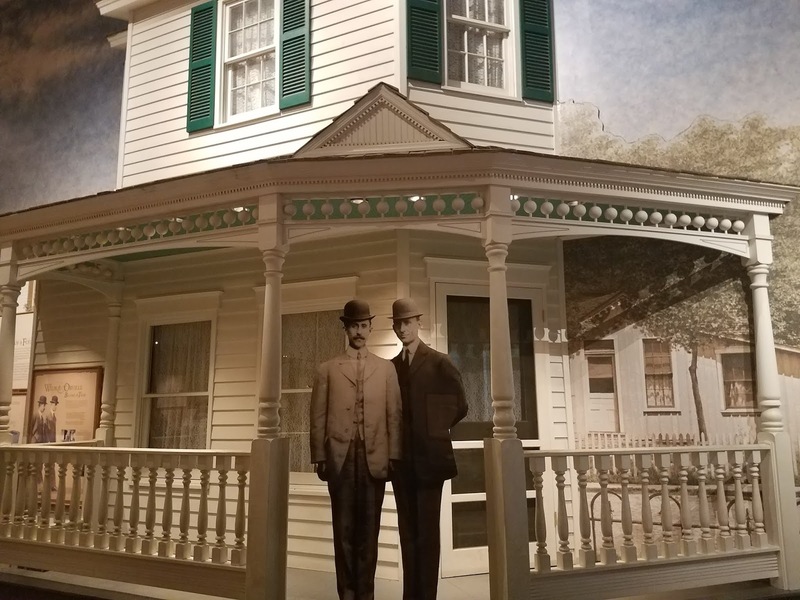 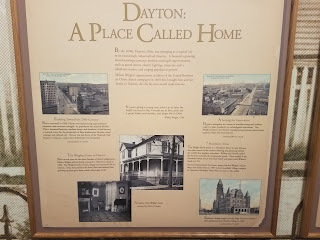 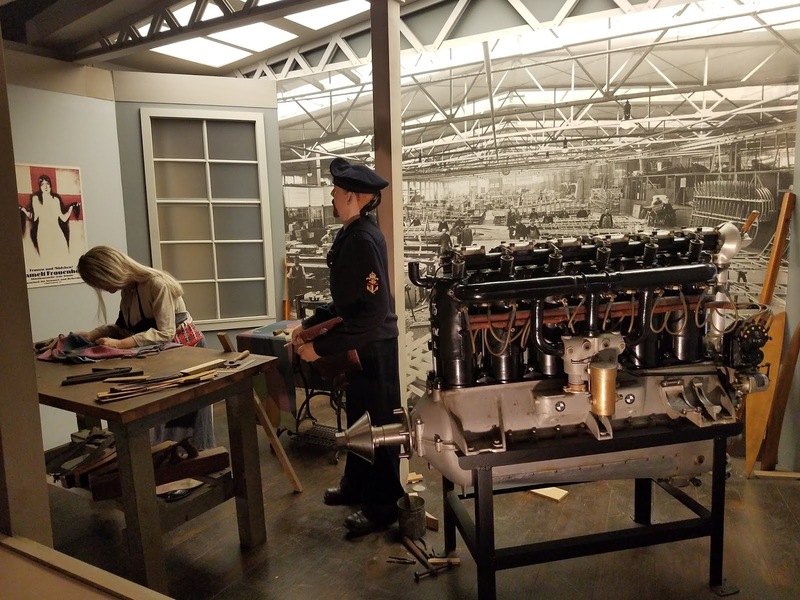 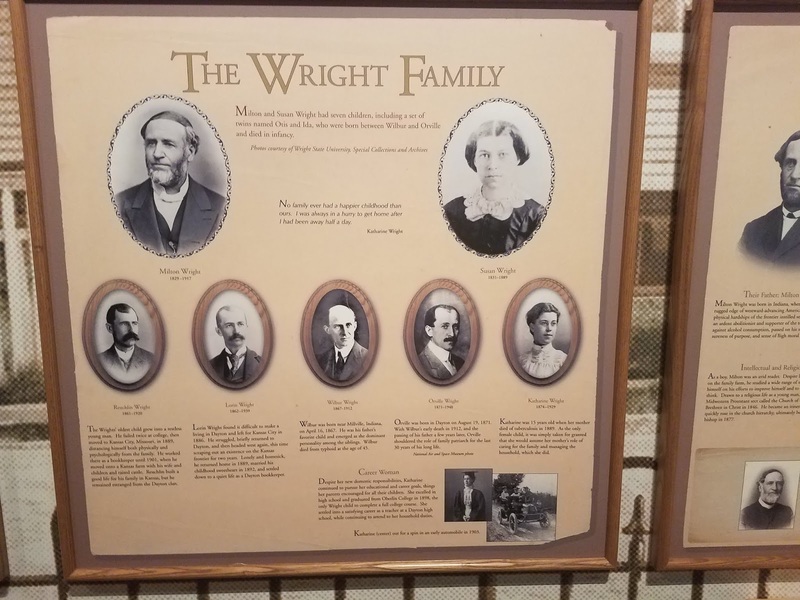 There have been many new additions to the museum since our last visit and more are in the works. 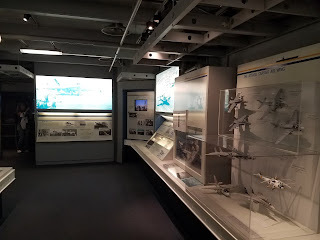 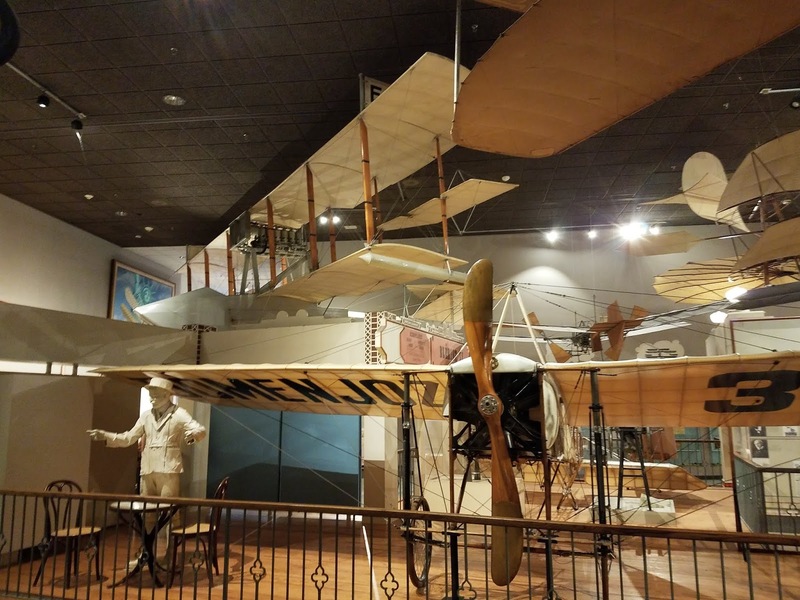 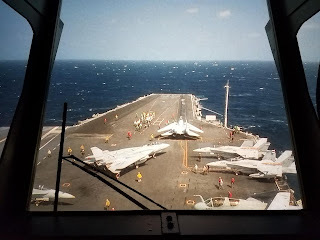 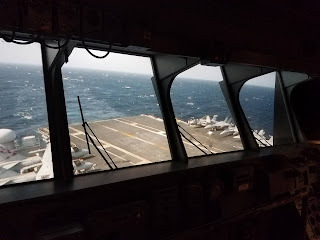 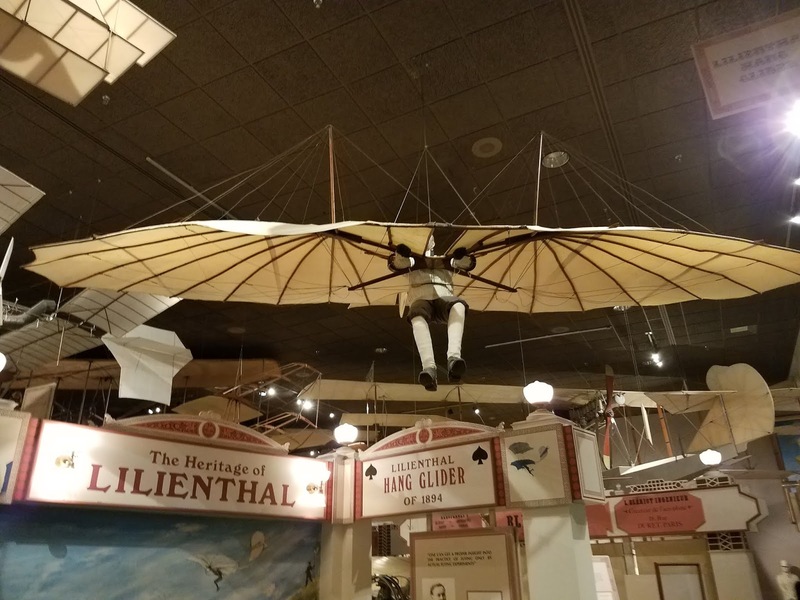 It is a place to learn about aviation and space history and what the future may hold in technology and exploration. 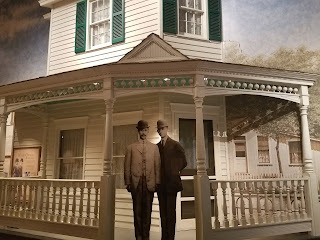 We tried to at least see most of the exhibits even though we could not take in all the information. We watched the planetarium presentation on the latest knowledge and theories on how the universe was formed and what will be happening in the future. It was truly a humbling experience to realize how insignificant our little planet is in the big picture. 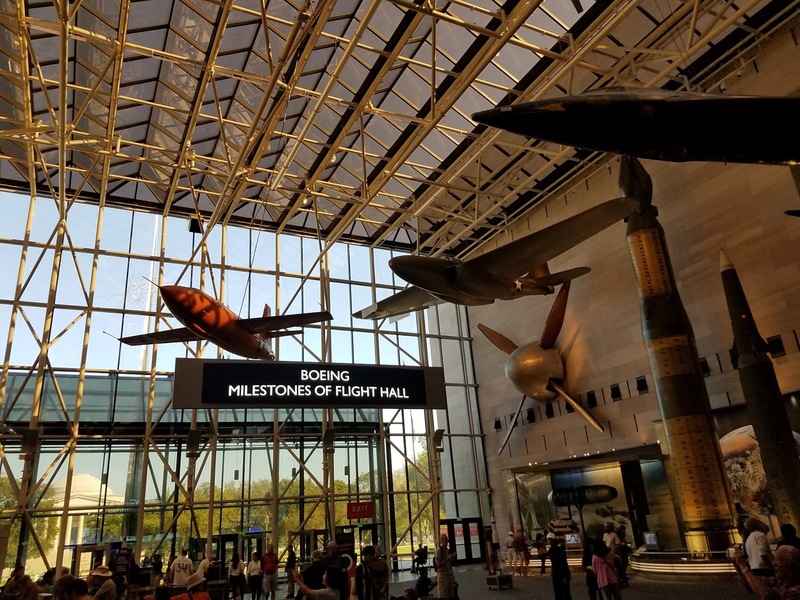 It is a must see in DC. 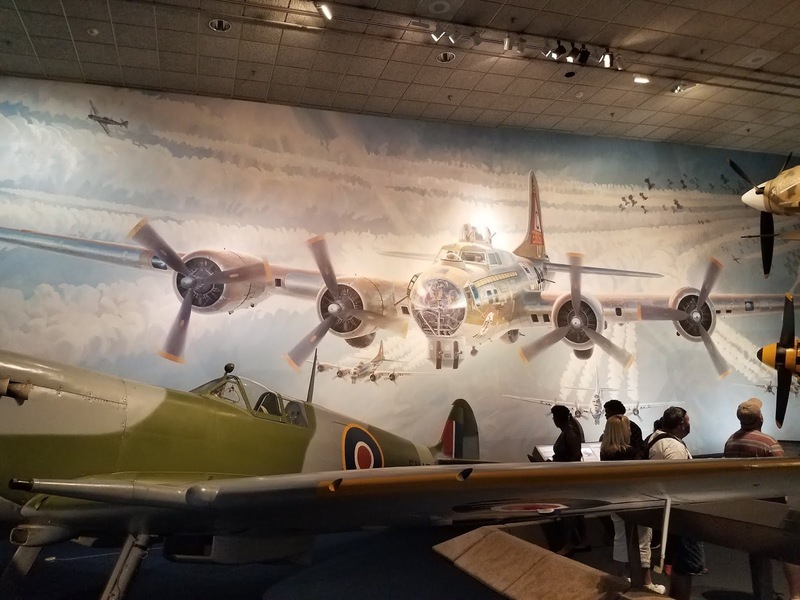 This was at one time my favorite museum, but it has become so crowded it becomes hard to enjoy with all the people crammed in. 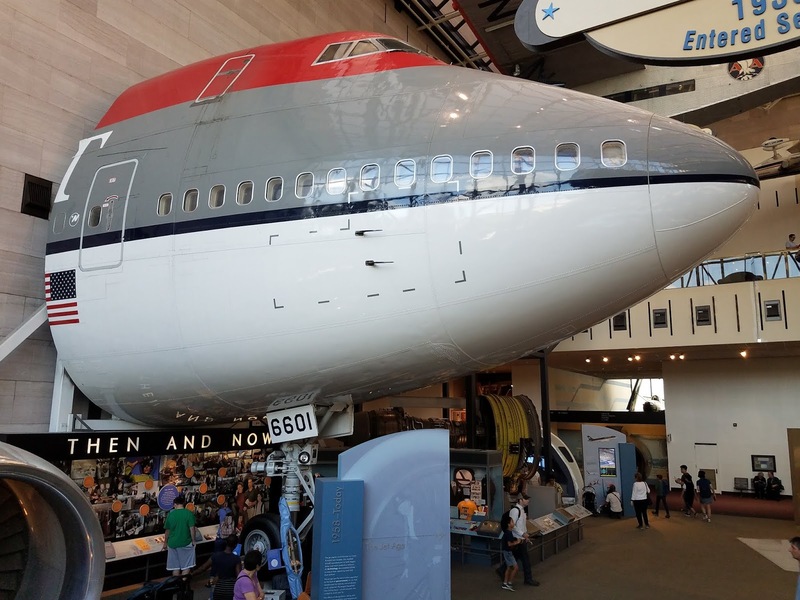 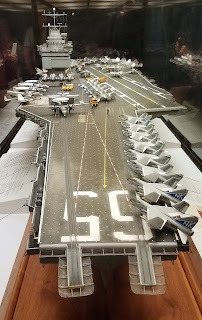 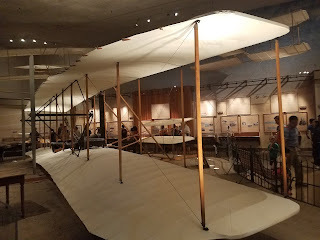 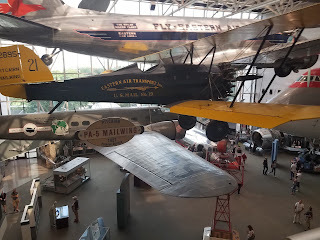 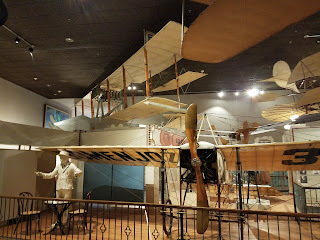 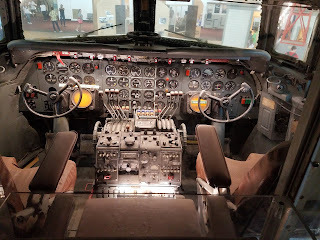 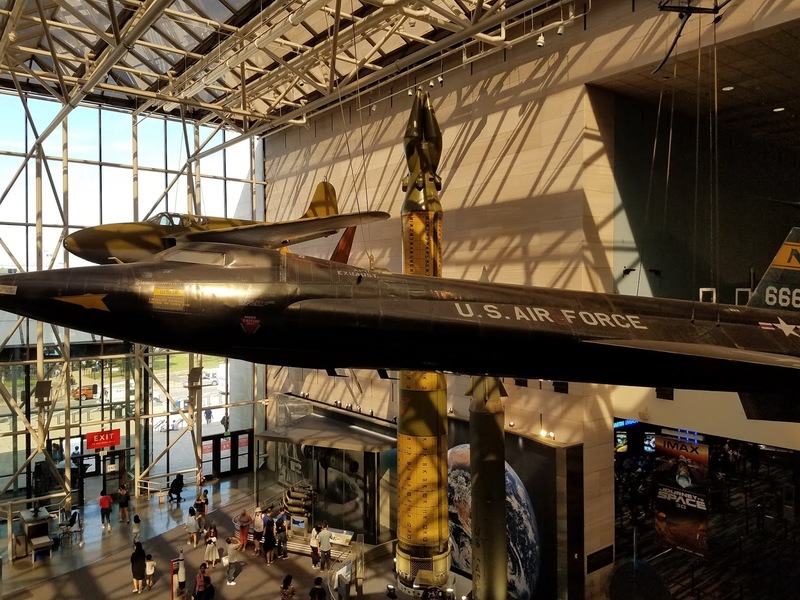 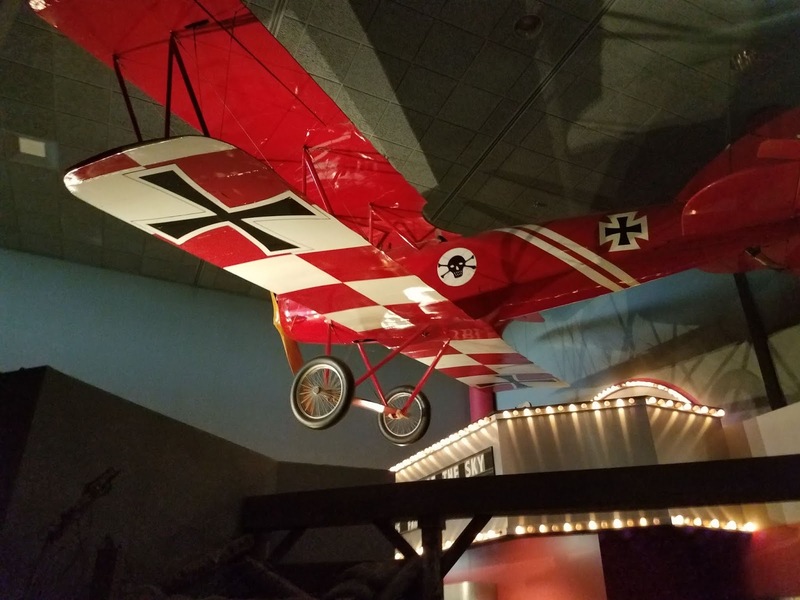 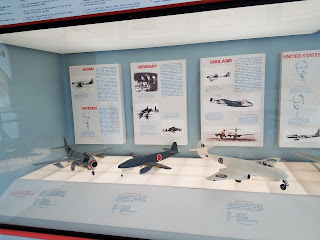 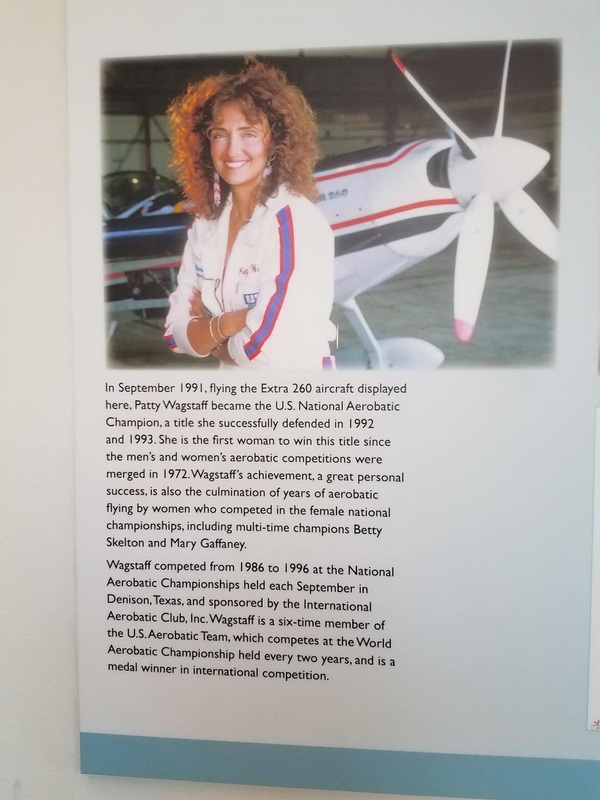 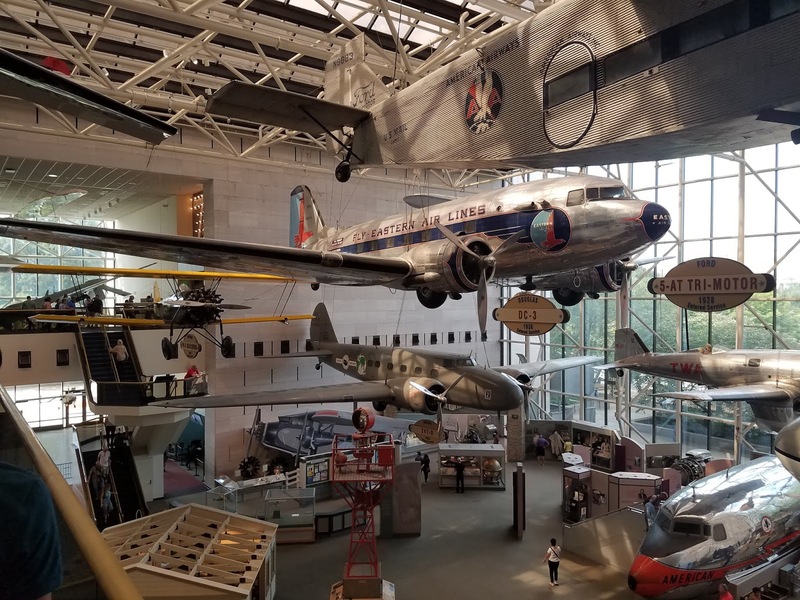 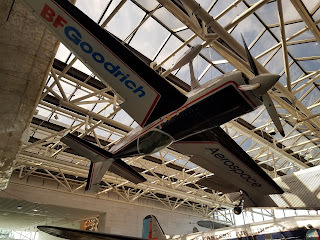 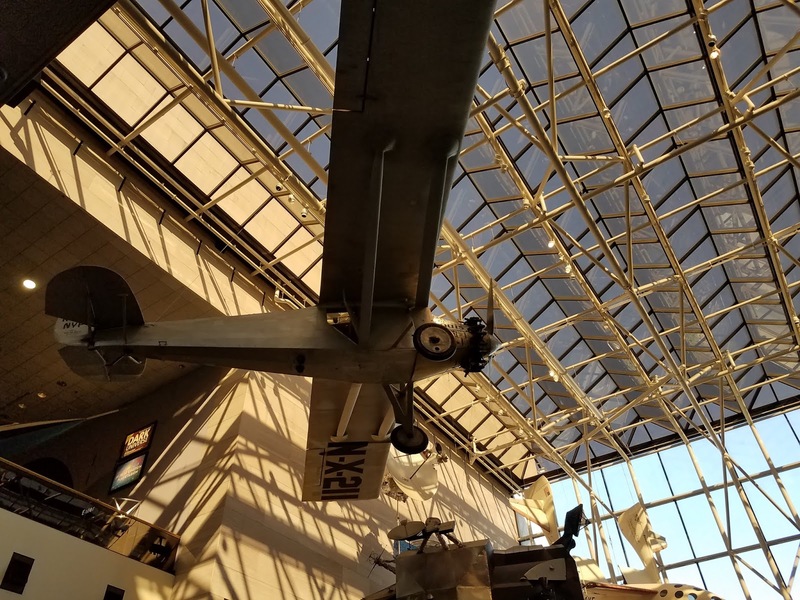 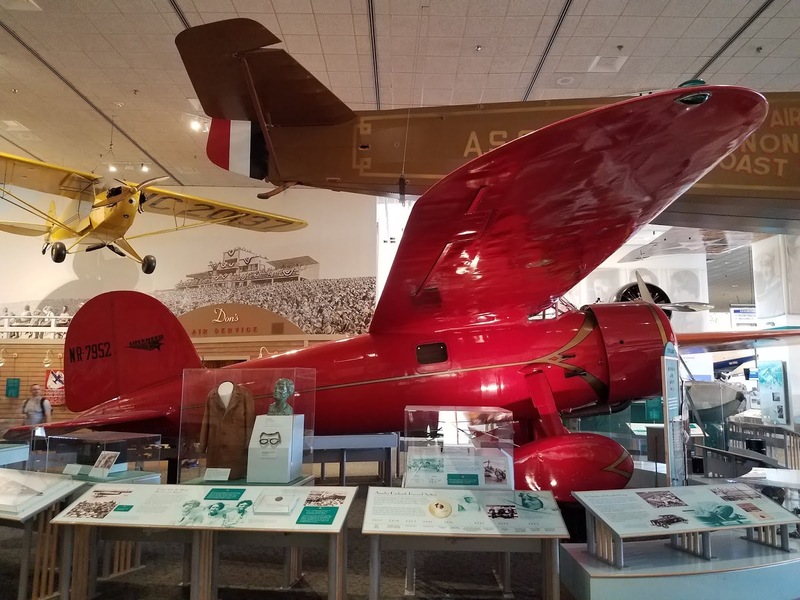 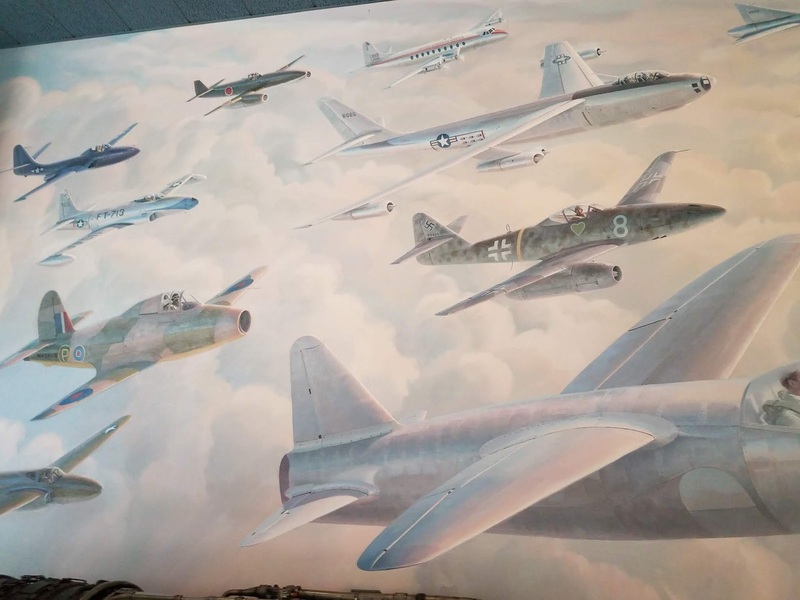 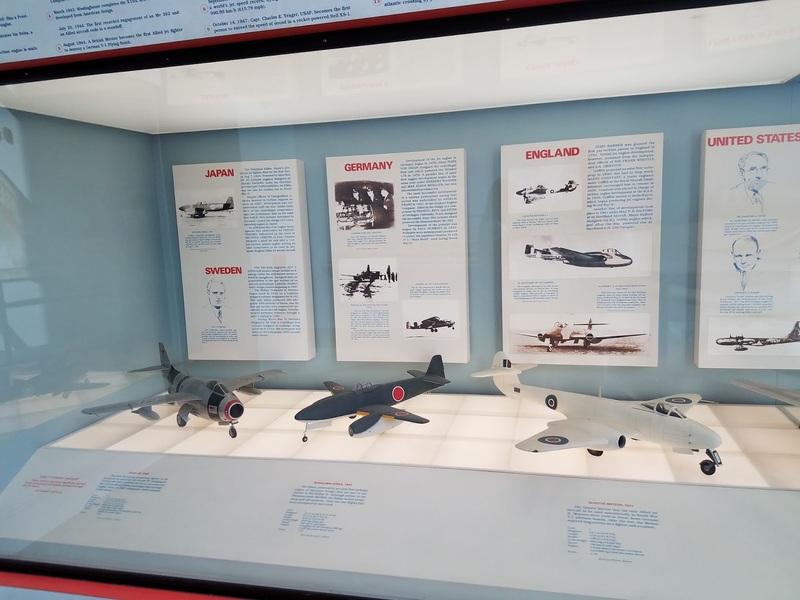 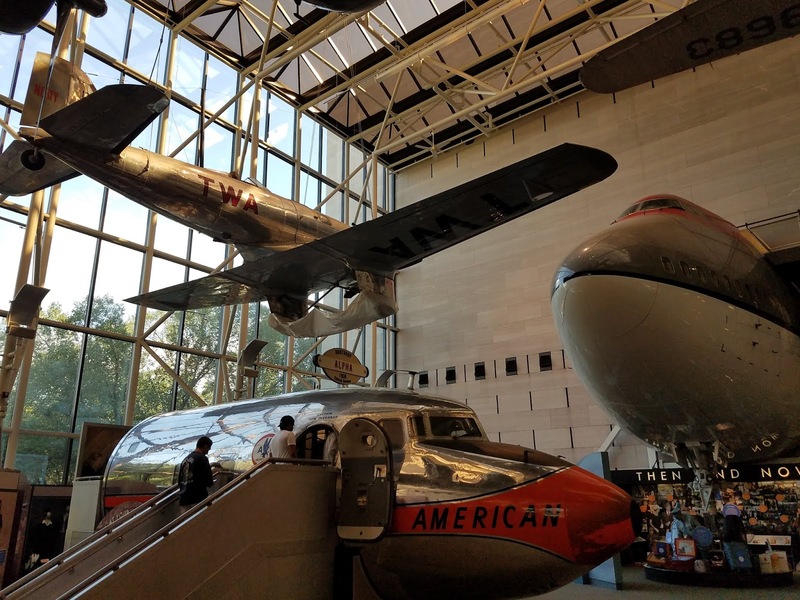 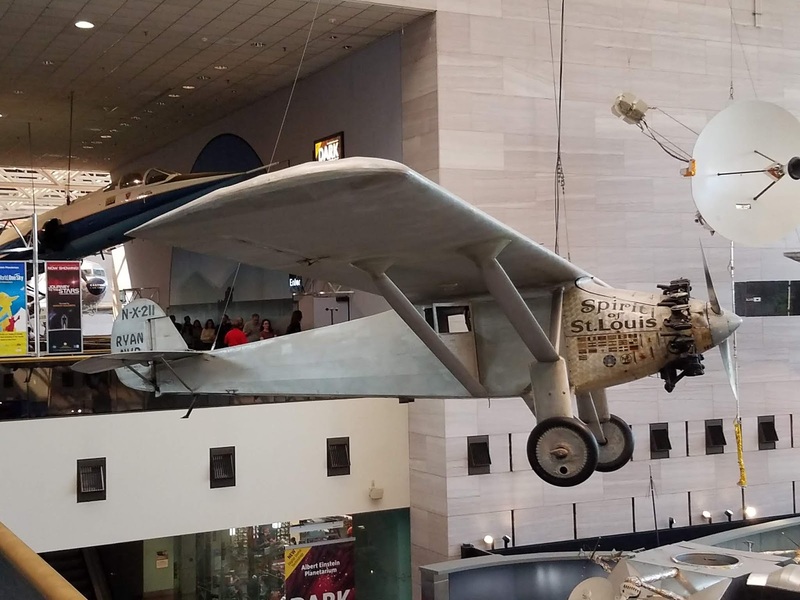 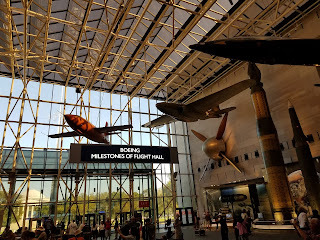 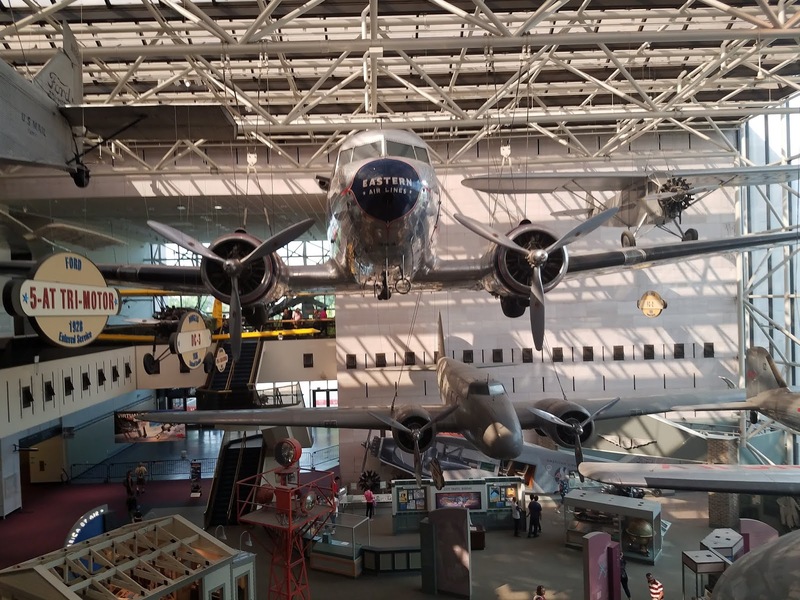 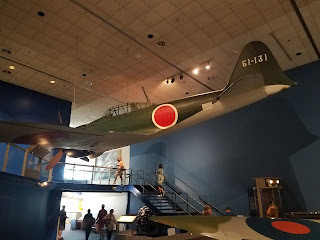 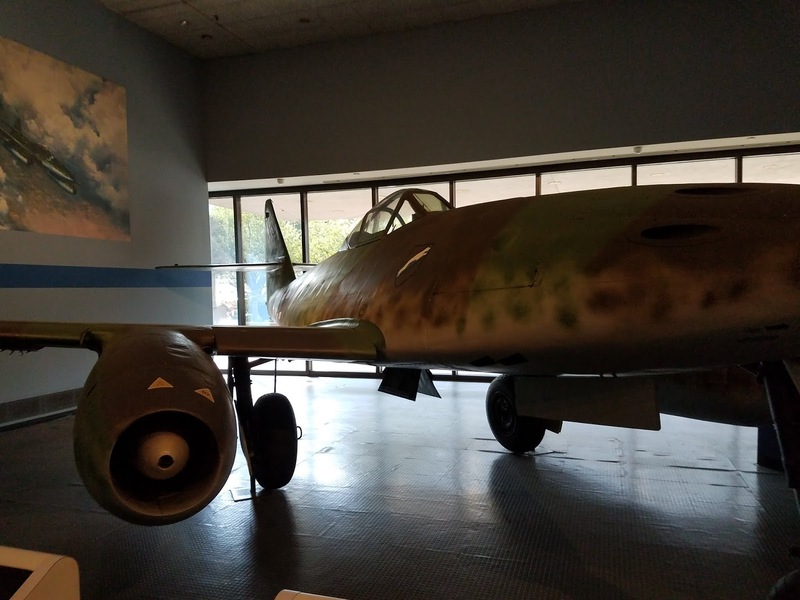 I much favor the Udvary Hazy museum up at Dulles airport, it is large and uncrowded so you can enjoy the planes and take your time to see it all. 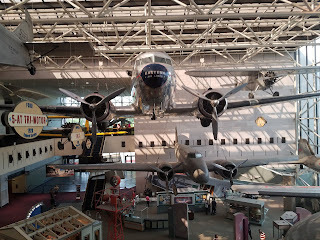 Plus, it has the Enola Gay on display. 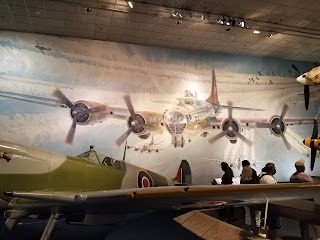 My dad actually flew on the Enola Gay shortly after the end of the war on a maintenance flight. Long story, but we have a picture of him standing in front of the plane after they landed. 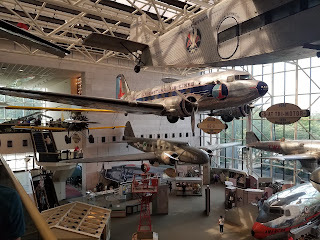 When I lived in Northern VA I had a lot of visitors and usually took them downtown to see the sights. 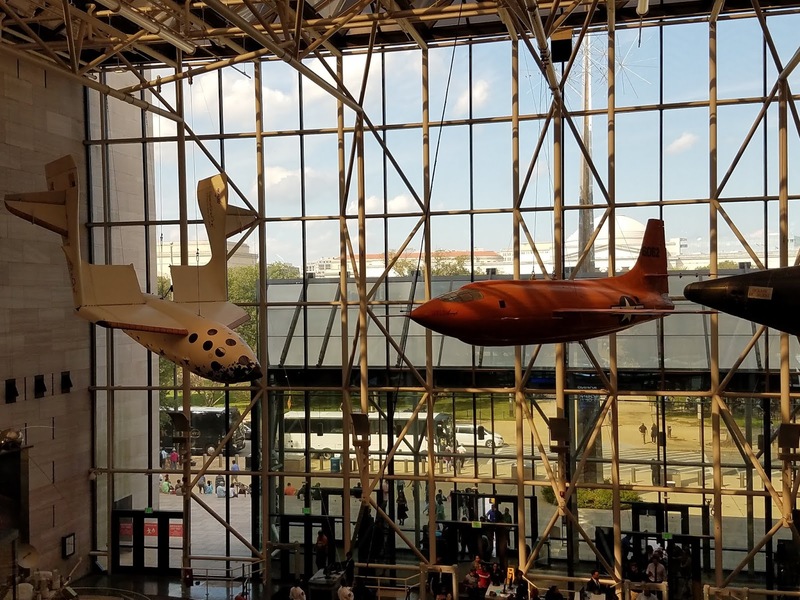 Most people want to see the Air & Space, but I really got tired of it. 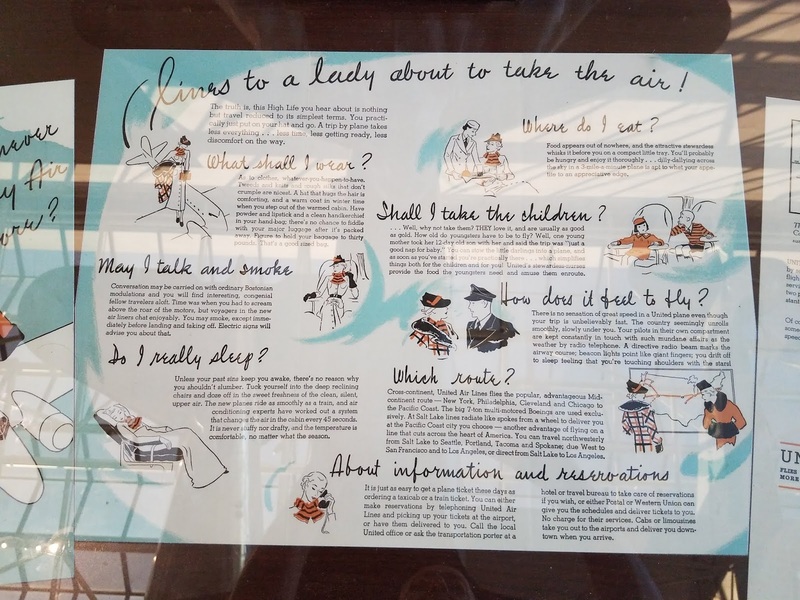 While I would never tire of the Smithsonian, Natural History Museum, etc., the Air & Space was a real chore to walk through. 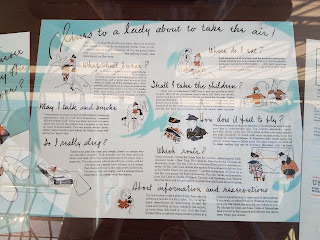 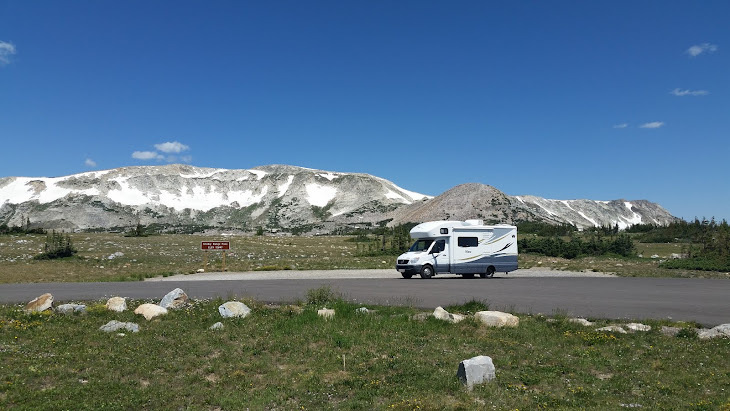 The first trip is always exciting and full of wonder though.